Here, I thought Tongkat Ali is exclusively for us Malaysians to enjoy at kopitiams and mamaks nationwide. Never would I thought it can be infused with red wine for that special concoction. 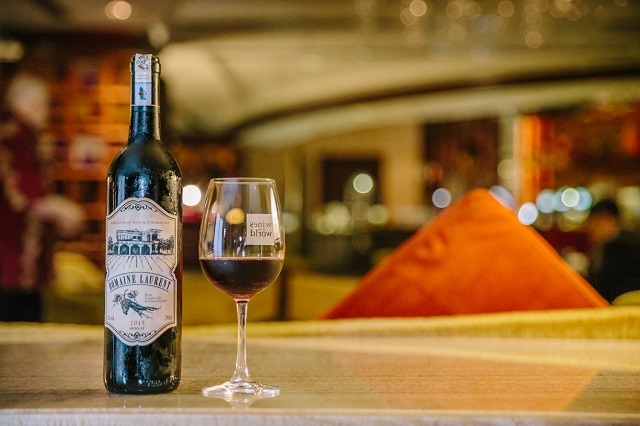 Jia De Bao Group Malaysia launches Domaine Laurent, the first ever red wine infused with Tongkat Ali. Domaine Laurent is the brainchild of renowned Beijing artist, Professor Liu Min, who pioneered and created the ‘3D transforming Chinese painting” technique. 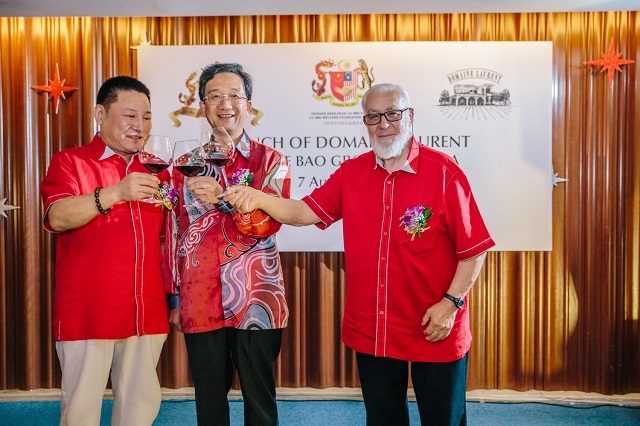 Professor Liu Min, the founder of Jia De Bao Group Malaysia’s inspiration to infuse Merlot wine with Tongkat Ali essence is part of his vision to create a truly Malaysian wine brand - Domaine Laurent. “Malaysia has a lot of potential and resources, we can create an international wine brand through this first ever Tongkat Ali infused red wine. I look to embody artistic inspiration, nature and quality in Jia De Bao and Domaine Laurent brands,” shares Professor Liu Min. Launch of Domaine Laurent, the first ever red wine infused with Tongkat Ali by Jia De Bao Group Malaysia. With a limited release of only 8,000 bottles, the wine is a melange of quality Merlot wine infused with Tongkat Ali essence. Its unique character lies in the bitter element from the Tongkat Ali, which enhances the flavour of the red wine giving it a light, fruity, fresh, mid palate and long aftertaste. To further elevate Domaine Laurent to international standards, Professor Liu Min and Jia De Bao Group Malaysia is collaborating with of Master of Wine, Count John Umberto Salvi MV, who has over 60 years experience in winemaking and lives in Bordeaux, France. “This wine has much potential to be internationalised. The infusion of Tongkat Ali in the wine is truly Malaysian as there is no other wine that has such a unique quality to it.” says John Salvi. I'm looking forward to seeing and tasting this wine real soon. Interesting. Drink! Drink! Drink more... Wink! Wink! LOL!! !